In Alex Cora's first postseason series as an MLB manager, he did not disappoint. Boston's new skipper seemed to do everything right in the Red Sox ALDS series victory over the New York Yankees, and has his team just four wins away from the World Series. Cora made a number of bold and questionable calls throughout the four game series, like tinkering with a lineup that scored 16 runs the night before. One of those tinkers even involved benching a player who made MLB history. The start of Cora's brilliance came in game three with the series tied at a game apiece. After scoring just two runs in the past 14 innings, changed needed to be made to the Red Sox offense. With the Yankees trotting right-handed Luis Severino to the mound, Cora turned to Brock Holt over Ian Kinsler, Rafael Devers over Eduardo Nunez and Christian Vazquez over Sandy Leon. The moves paid off, and did so quite early in the ballgame. Boston's first run of the game came in the second inning, when Vazquez's infield single plated Rafael Devers, who singled and advanced his way to third base. Holt on the other hand became the first player in MLB history to hit for the cycle in the postseason, recording five RBI's along the way. Boston took the early lead and never looked back, winning the pivotal game three 16-1. Cora's three replacements, Vazquez, Holt and Devers, went a combined 8-for-18 with seven RBI's, while scoring six runs. Coming off a dominant game three performance, many believed Cora would stick with the same lineup. They were wrong. Cora sent Devers and Holt back to the bench for Nunez and Kinsler, and kept Vazquez in the lineup to catch Rick Porcello for what would be the first time all season. After a third inning sacrifice fly by J.D. Martinez to give the Red Sox a 1-0 lead, Cora's brilliance was put on display yet again. Kinsler belted an RBI double against the left-handed C.C. Sabathia, and Eduardo Nunez then drove him in with his own RBI single. The next inning, Vazquez belted a solo home run to right field, his first since June 26, to give the Red Sox a 4-0 lead. The solo shot was the Red Sox last run of the ballgame, but wasn't Cora's last great move. Game 4 starter Rick Porcello needed just 40 pitches to hold the Yankees scoreless through the first four innings, but the Yankees started to figure him out in the fifth. Gary Sanchez reached on a long ground rule double and eventually scored on a Brett Gardner sac fly. Aaron Hicks then nearly missed a three-run home-run down the right-field line, but was eventually retired him after a long at bat. Despite allowing just run one through five innings, throwing just 65 pitches, Cora pulled his starter. 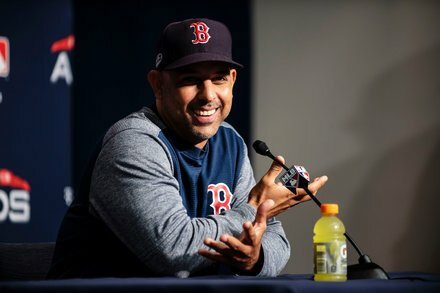 With Aaron Judge, Didi Gregorius and Giancarlo Stanton ready to face Porcello for the third time, Cora wisely went to the bullpen, and called upon his two best set-up options instead of his weaker options. First it was Matt Barnes, who sat down Judge, Gregorios and Stanton 1-2-3. Cora then went to Ryan Brasier for the seventh, who retired New York's 4-5-6 hitters in order. Then came Cora's aggressiveness, as he turned to the potential Game 5 starter Chris Sale for the eighth inning. Sale pitched a perfect 1-2-3 frame, needing just 13 pitches to do so. With Kimbrel ready to work the ninth with a 4-1 lead, Cora bridged the gap from starter to closer perfectly in an unconventional way. Kimbrel didn't make the ninth inning easy, as he struggled with control issues. Kimbrel allowed the Yankees to load the bases with one out, then went on to hit Neil Walker, which platted Judge, and allowed a sacrifice fly that was feet from leaving the ballpark to shorten the Red Sox lead to 4-3. Kimbrel finally shut the door on the Yankees comeback, forcing to Gleyber Torres to ground out to third. Eduardo Nunez made a brilliant play, followed by a great stretch at first by Steve Pearce to record the out, both players who are usually replaced for defensive purposes in the later innings, but Cora left in. The Red Sox will look to continue their winning ways in the ALCS, where they welcome Cora's former team and the team that knocked Boston out of the playoffs last season, the Houston Astros. Cora has already started making lineup decision for that series, naming Chris Sale and David Price Game 1 and 2 starters respectively on Wednesday. While Sale was an obvious decision, many questioned if the Red Sox would shy away from David Price after he continued his postseason struggles in the ALDS series. The move is yet another one of Cora's aggressive ones, as he will give the pitcher with the worst record (0-9 as a starter) and the second-worst ERA (6.03 as a starter) in postseason history the ball in Game 2 of the ALCS. But the Red Sox didn't win 108 regular season games, win the AL East and beat the Yankees in four games by playing conservative. Things can't go much worse for Price then it did last Saturday however. Price struggled to hit his spots with his cutter and fastball, resulting in Aaron Judge and Gary Sanchez home runs. Price lasted just 1.2 innings, giving up three runs and suffering yet another postseason loss. While the Astros lineup is just as challenging as New York's and ranks No. 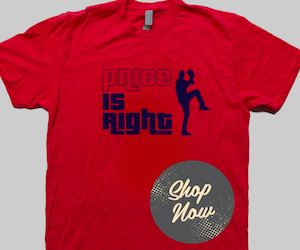 1 in OPS against left-handed pitchers this season, Price has had two strong starts against them this season. The lefty hurled 12.1 innings in two appearances (1-0), allowing five runs while striking out 17. Price also shined against the Astros last postseason, throwing 6.2 scoreless innings out of the bullpen. 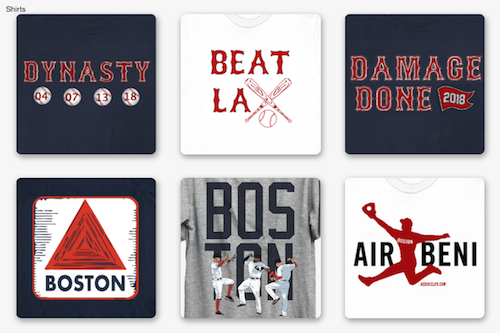 Cora will have many other moves to make throughout the series, and if he hits on as many as he did against the Yankees, Boston should be in great shape to dethrone the defending champions.